We had so much fun last year, we can’t wait to do it again! There’s even more fun and free stuff to do, too! 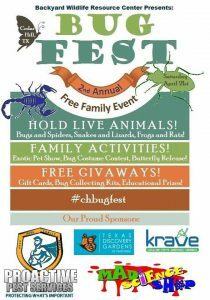 Besides getting to know our amazing animals and winning educational prizes, you can now enter our Exotic Pet Show or Bug Costume Contest courtesy of Texas Discovery Gardens at Fair Park and Krave! (entry forms in the Discussions) Plus, we’ll have a Live Butterfly Release sponsored by Mad Science Shop! 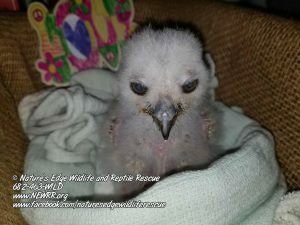 Baby Great Horned Owl Growing Like a Weed! 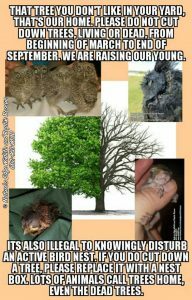 We got a couple of requests for an update on the Great Horned owl chick (Bubo virginianus). As you can see, growing like a weed! We got the privilege of helping another rehabber with a pre release check up and the release of an adult male bald eagle (Haliaeetus leucocephalus). This guy was amazing. We told y’all it is baby season. We took in this little guy on Tuesday. Baby great horned owl (Bubo virginianus) approx 7-9 days old in this picture. All charts say this is the point they open their eyes. You can still see the egg tooth that is used to break open the egg when they hatch. Home owner found it Saturday and tried getting it back to mom, but unfortunately that did not work out. Was dehydrated and a touch thin when we got it. Recovering well and devouring food. 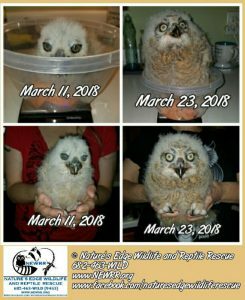 These owls eat a ton of food as they grow. You can also see the pin feathers starting to come in around the beak and the wing edges. Took in this adult female Cooper’s hawk 6 weeks ago. She came in with a broken wing. After giving her time to heal and some physical therapy, she was ready to go back home. 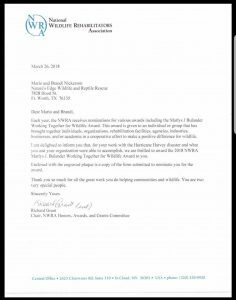 We were notified January 7, 2018, of a hawk that was shot. We drove over an hour, late at night, in the rain to meet Hunt County Scanner to pick up the hawk. 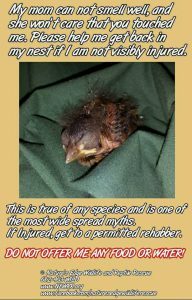 The bird suffered a broken wing and some tissue and muscle damage. 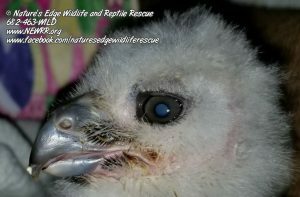 After almost two months of care which included resting the wing so it could heal and physical therapy to get the wing strong again, she was finally ready for release. 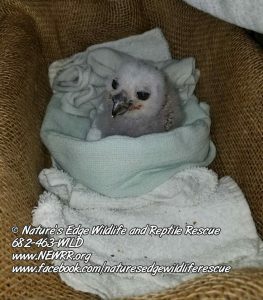 We drove 90 miles to return the hawk to where she came from so she could be reunited with her mate. This is why we do what we do! A great horned owl (Bubo virginianus) that a homeowner found in their yard. Thanks to good friends, Mark and Jennifer, for getting the bird to us.